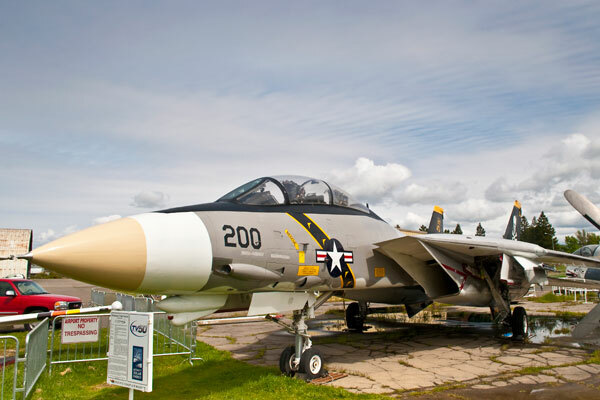 Have you ever dreamed of flying an F-15 Eagle? How about a P-51 Mustang or a Sopwith Camel? 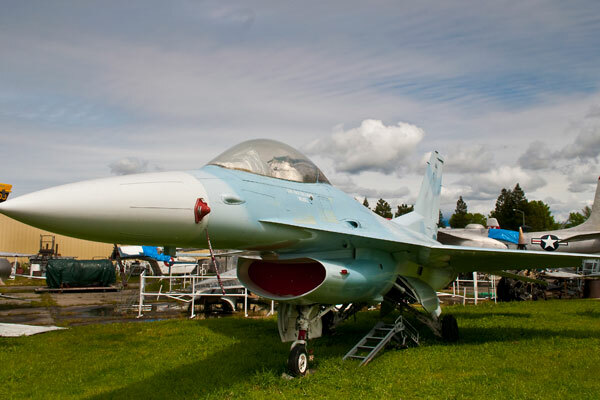 The Pacific Coast Air Museum can provide the next best thing. 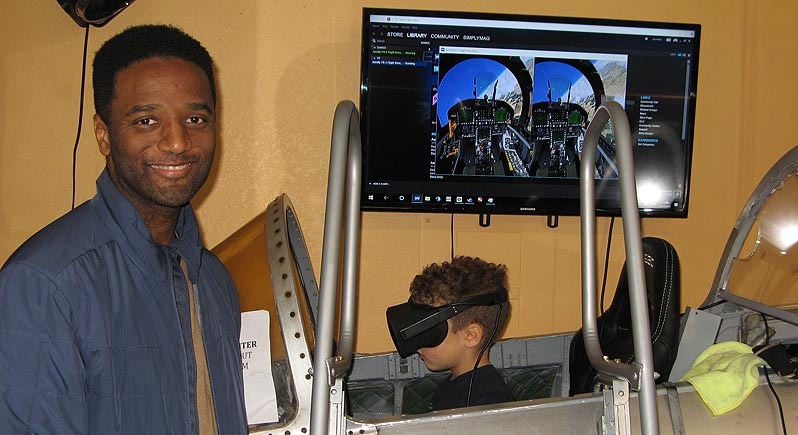 Our flight simulator lets you get into the cockpit, take the controls, and fly a 3D virtual reality simulation of these and other planes. Advanced pilots can even fly dogfights against simulated enemies or hook up with an aerial tanker. Let our friendly attendants know what you want and they’ll load the correct scenario. 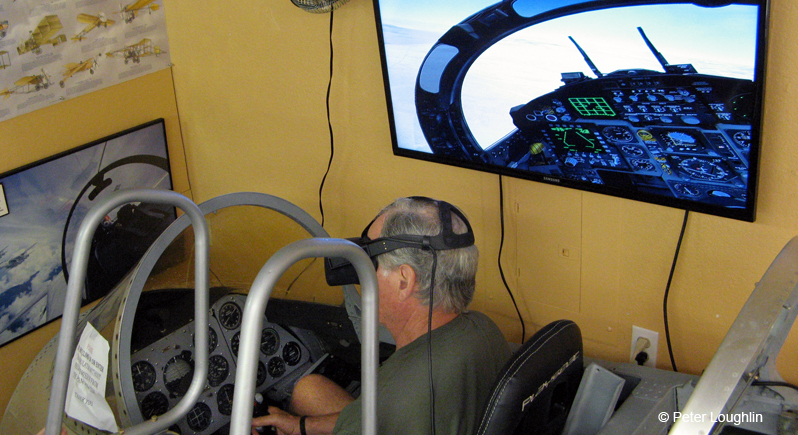 The Simulator is available Wednesday, Thursday, Friday, Saturday, and Sunday between 12:00 noon and 4:00 p.m. Simulator pilots are accepted on a first-come, first-served basis. Price is $10.00 for 20 minutes, in addition to Museum entry. This is not a video game. 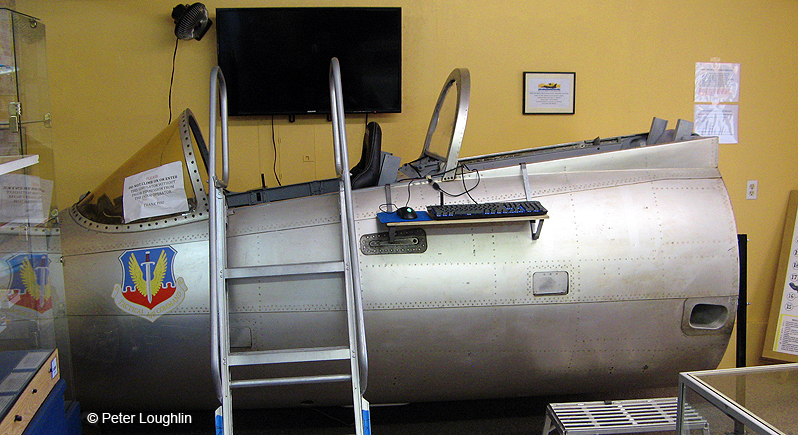 This is an actual flight simulator with sound and vibrational feedback that mimics the actual flight characteristics of each plane. So when you fly the P-51, it will behave like a P-51. When you fly the F-15, it will behave like an F-15. Those who have flown the simulator say the experience is thoroughly engrossing. The environmental feedback is such that you actually feel like you are flying a plane and not just sitting in a stationary simulator. Your friends and family can enjoy your flight too. There’s a big monitor on the wall that shows everything the pilot is seeing in real time. According to one PCAM member and Air Force veteran who helped build it, "it’s the best flight simulator" he’s ever flown. 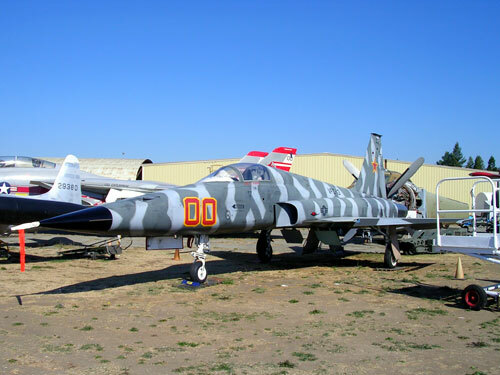 He should know; he’s got over 3,000 hours in F-4 Phantoms, is a retired corporate pilot, is a test pilot, and has raced in the Unlimited class at the Reno Air Races. We tend to trust his word on such things. The simulator uses a very powerful computer that resolves the rapidly changing situation and projects it into the Virtual Reality Occulus goggles. The presentation is so real that you will believe that you are actually flying the aircraft. Since the entire setup is contained inside a real jet aircraft fuselage the illusion is fantastic. There is a trained operator who will work with you to get the maximum benefit and fun from the flight. You will see everything in 3D, right down to the aircraft-specific controls in the cockpit and the landscape whizzing past below you. If you look to the side and behind you, you’ll see the aircraft wings. If you look down, you’ll see the ground. If you fly too slow, you’ll stall and crash. If you do crash, that's no problem! Our trained operator will re-set the simulation and you can give it another try! Don't miss the opportunity to experience this. The Flight Simulator is $10.00 for 20 minutes. Gift certificates are available in the Gift Shop, so you can give someone the gift of (virtual) flight! 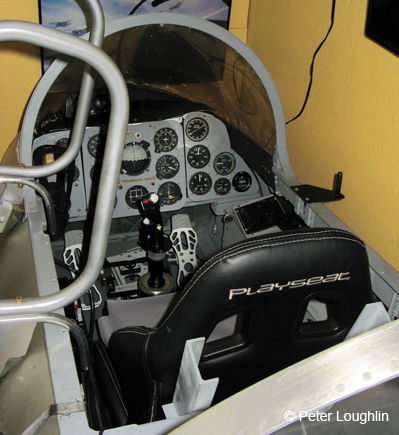 The Flight Simulator is available Wednesday through Sunday, from 12:00 noon through 4:00.